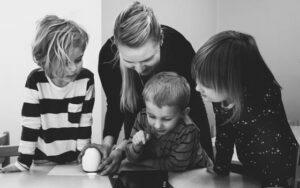 Thanks to super-fast internet and advances in technology, parents have a greater wealth of educational resources at their disposal than ever before. There are tonnes of educational games and learning websites for kids available nowadays, all of which can be considered useful educational tools for kids. However, the flipside of these technological advances is that is easier than ever for kids to become distracted and pacified by passively interacting with tablets and other devices. It is important to know about ways of keeping your kids amused and occupied while also letting you rest assured that they are furthering their education at the same time. In this guide, we will present and discuss some of the best learning activities for kids. Supports different learning styles: Everybody learns in different ways, some learn in a visual way, others in a verbal way while other learn through doing. They can also learn at a pace they are comfortable with. Convenience: With a web connection, kids can learn at a time that is convenient for them, whether in the mornings or in the evening after school which is great for busy schedules. Engagement: Using online educational resources means that children can choose which part of their curriculum they wish to focus on. Allowing them a degree of choice coupled with a well-designed online platform encourages greater engagement. Getting your kid interested in learning can feel like an uphill struggle at times and much like sneaking their medicine into their food, games can be a useful way around this. Even at a young age children and teenagers are attracted to well-known brands and names so finding an educational site connected to a recognizable brand is useful for attracting their attention. Several authoritative names such as Sesame Street and National Geographic have websites specifically tailored to provide online learning games for kids. Disney Jr has lots of games and activities designed to improve memory skills, color matching and there are learning to read games also. The best educational sites for kids have a wide-range of fun learning activities that cater to the needs of a school curriculum. Starfall Kids is a well-known website catering to parents looking for an online educational resource for kids learning games. It’s a nicely laid out site featuring reading games, maths games, and quizzes for kids and has been popular for over a decade now with its interactive learning games. Make Me Genius has tonnes of video content covering subjects ranging from physics and biology to the natural world. Handily the videos are arranged according to the viewers’ age and grade so you can rest assured your child is learning according to their level and not sitting bored or overwhelmed by new information. It even caters to the very young by including toddler learning games that can aid in their scholastic development. Hand-Eye Coordination: Manipulating physical elements of a game serves to develop better coordination and manual dexterity in young kids. As a parent, you are bound to appreciate any game that keeps your child both occupied and teaches them something, whether that is improving their reading skills or brushing up on their maths. Science experiments for kids are an excellent way of doing this, the highlight of many kids’ days at school is often the science experiment breaking the routine of more traditional classroom activities. A simple, non-messy, science experiment conducted at home is a wonderful way to teach them about such things as plant biology, observation and collection of results, and a host of other topics. Experiments such as making a homemade barometer could be used to teach them about weather systems which is something they may be covered at school. Board games are another option for sneaking in some learning with their fun and helpfully some of the best board games for kids are educational. Titles such as Scattergories encourage vocabulary development and wordplay, Monopoly can help teach about numeracy and finance and Telestrations can encourage drawing and creativity. Matt Morrisey is a teacher and has been all over the world teaching English. He currently writes for StarWalkKids.com and loves games and toys himself, drones are his favorite. He is currently writing his PHD and writes for StarWalkKids part-time to support his academic studies.